See more objects with the color darkslategrey black dimgrey darkgrey or see all the colors for this object. This is a Calculator. It is dated 1972 and we acquired it in 2008. Its medium is plastic. It is a part of the Product Design and Decorative Arts department. 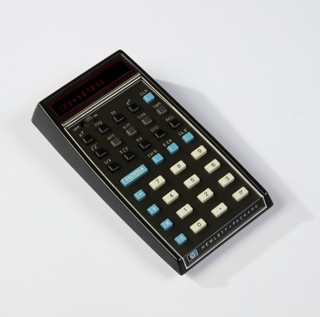 Clive Sinclair launched his first calculator, the Executive, in 1972. The first true “pocket” calculator—the first to easily fit in a shirt pocket—was one-third the size of any other electronic calculator on the market at the time due to its innovative use of button cell batteries. 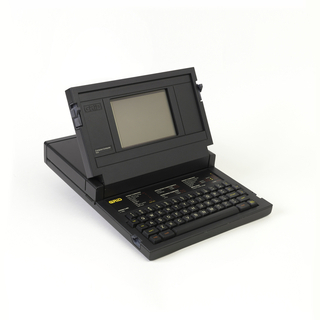 The Executive cost half as much as other available electronic pocket calculators and used a standard calculator chip, the Texas Instruments FLS 1802. The museum actively collects in the area of personal electronic devices. The calculator proposed for acquisition is the earliest example of the Executive model.